Cyril Ramaphosa’s election as President has elicited a wave of optimism amongst South Africans who are hungry for a change after nine years of economic stagnation and corruption scandals. South Africans are yearning for a new leader in whom they can place their dwindling trust. 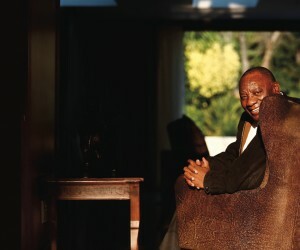 As fate will have it, cometh the hour cometh the man, and it’s none other than Cyril Ramaphosa. He faces, what can be described as a herculean battle, to win the public and investor support. Hailing a “new dawn”, a day after his inauguration, President Ramaphosa has promised to fight corruption, which had weakened the state-owned enterprises in Africa’s most industrialised economy, and to streamline the Cabinet. Newly-elected President Ramaphosa is under tremendous pressure to appoint a Cabinet that will demonstrate his seriousness about rooting out corruption and fighting state capture. He has declared that his government is committed to “policy certainty and consistency”. Many have agreed that one of the first major tasks for Ramaphosa will be to unite the ANC before the campaign for the 2019 General Elections gets underway. While the organisation’s political dominance remains fundamentally unthreatened by opposition parties, the ANC must limit its losses—recent municipal polls saw serious setbacks—and avoid being forced into a coalition government. The undertaking will not be an effortless one, as to achieve this, the disaffected followers of Zuma will need to be co-opted, or marginalised—even though many remain in positions of power—and ideological disputes, that have split the ANC, remain largely unresolved. These words succinctly describe the second coming of Mr Cyril Ramaphosa and his ascension to the highest office in the country. Rampahosa is believed to have been Mandela’s preference for succession, however, it did not materialise as intended. 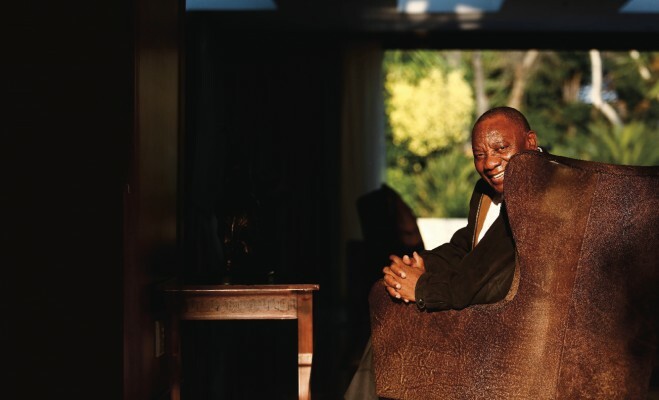 The rise of Ramaphosa only affirms the wishes of Mandela and the qualities he saw in him. However, after he lost a closely fought race with Thabo Mbeki to become President of South Africa, he resigned from his political positions in early 1997 and moved to the private sector. True to form, if fortune is the arbiter of half the things we do, leaving the other half to be controlled by ourselves, Ramaphasa has skilfully turned his fortunes around. President Ramaphosa’s ascension to power was no walk in the park. The contest in the ANC was robust and, in some instances, contaminated with greed and corruption. In his letter to the Prince, Machiavelli advises the Prince that “one must be a fox in order to recognise traps, and a lion to frighten off wolves”. Will Ramaphosa heed the advice of Machiavelli? Not to do so, portends a pernicious term of office. The trust deficit presents a double-edged sword conundrum for the President. The public trashing of the ANC leaders and the alleged corruption and capture will come back to bite the ANC in the 2019 election. To ignore the explicit acts of corruption is also not an option. Therefore, leading up to the 2019 elections, a careful assessment of the political capital that will leverage the 2019 election is the moot point. The political capital of the ANC for the forthcoming elections lies with President Ramapahosa. What is key for him is that he must be a unifier who will rebuild the ANC and marshal the confidence of South Africans. Ramaphosa accompanied released ANC political prisoners to Lusaka, Zambia in early 1990 and served as chairman of the historic National Reception committee, which co-ordinated arrangements for the release of Nelson Mandela and the subsequent welcome rallies within South Africa. Ramaphosa was present at the ANC’s march on Bisho the following year, when Ciskei troops fired on the crowd, killing 24 and wounding 2 000. A group of marchers led by Deputy Defence Minister Ronnie Kasrils, who tried to leave the stadium through a gap in the fence, were fired on by soldiers hidden in shrubs and behind mounds of earth. A high-level negotiator by trade, subsequent to his election as the ANC’s Secretary-General in 1991, he became Head of the Negotiation Team of the ANC, negotiating the end of Apartheid with the National Party (NP) government and the iconic release of Nelson Mandela from prison after 29 years. Ramaphosa was the Conference Organiser in the preparations leading to the formation of the Congress of South African Trade Union (COSATU) and delivered a stirring keynote address at COSATU’s launch rally in Durban in December 1985. In March 1986, he was part of COSATU’s delegation, which met the African National Congress (ANC) in Lusaka, Zambia. He reminded everyone in parliament that they are here to serve those who elected them. Ramaphosa emphasised the need to take care of the poor and to diligently serve those “who cannot find work, who were forced to leave school, and whose taps do not work regardless of a drought, as they are our people”. He ended his speech by quoting trumpeter and singer, Hugh Masekela, known as the ‘father of South African jazz’ who used his music in the fight against Apartheid.